Today, a printer along with a PC or notebook is almost standard on every household. A modern, multi-functional printer prints lab-quality photos and written paperwork with the same degree of success, even scanning and copying photo and text documents is not a problem. Usually, this device is easy to control and also convinces with an excellent print result. In this guide present our reader’s several inkjet printers for home use and semi-professional use. On the one hand, you can get to know some bestsellers and best-rated models based on our product recommendations. On the other hand, we inform you about the structure, the principle of operation and the advantages of an inkjet printer compared to a laser printer. We analyze the key features of a typical inkjet printer and assess its relevance to the consumer. Our Buying Guide will guide you through seven easy steps to getting the product you’re looking for, and the linked inkjet printer reviews will help you find your way around the widest range of these devices. Which models of inkjet printers are there? What are the features and functions of an inkjet printer? Original cartridges or compatible ink cartridges? Monofunctional printers. This group is pure printers that do not have any additional features on board and can only be used to print text or image documents. 3-in-1 printer. These devices are referred to as multifunction printers or all-in-one printers. A 3-in-1 printer always has a flatbed scanner and a copier on board. Depending on your needs, copying can be done in black and white or in color. 4-in-1 printer. These printers are also referred to as multifunction or all-in-one printers. In addition to the copy and scan function, these versatile devices also include a fax function. Since the importance of fax machines has dropped sharply in recent years, the 4-in-1 inkjet printers are offered comparatively rarely. It is, of course, possible to make further classifications. In order to make it easier for you to decide on one model or another, we will go even further into the other criteria and features in our purchase guide. Earlier in the description of how inkjet printers work, we have already discussed the most common thermal printing process. Almost all leading providers are currently using this method. An exception is a traditional company Epson, which still likes the piezoelectric processes, in which the ink droplets are pressed out of the nozzles by the piezo crystals. The crystals form under the influence of an electrical voltage. In the end, however, the printing process – producing print images through microscopic ink droplets – looks just like thermal printing. Copier. 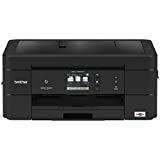 The multifunction printers can be used to copy any type of document; the upper-class printers also allow the documents to be zoomed so that, for example, a document available in DIN A5 is transferred to DIN A4 format. Scanner. Each 3 in 1 multifunction printer carries a flatbed scanner on board. Some upper-middle and upper-class models even come with an extra paper chute for multi-page scans. 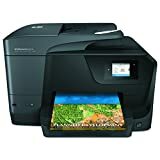 Most newer printers offer the so-called Scan-to-E-Mail function, whereby the scanned documents can be sent directly to a selected e-mail address. 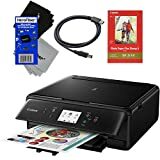 Even though using an app today turns any smartphone into a miniature scanner, on average the image quality of a multifunction printer is better. In addition, scanning with an inkjet printer does not incur any additional costs, while the use of most scanning apps is chargeable. Fax machine. Although fax is being used less and less frequently today, as there are plenty of alternative forms of electronic document distribution, some manufacturers still provide their inkjet printers with a fax function. The 4-in-1 printers belong to the upper middle class and are intended for home use as well as smaller offices. USB interface. The connectivity of external devices via Universal Serial Bus (USB) is standard today. Each printer model is equipped with a USB port. Today, the corresponding ports are mainly a high-speed USB interface (USB 2.0 and higher), which allows data transfer at up to 48 Mbytes / s or even more. WLAN interface. Most of the new generation of inkjet printers are Wi-Fi enabled and therefore qualified for mobile printing. Wireless connectivity to external devices provides more flexibility. 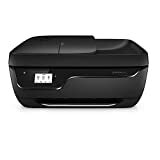 In addition, the ink-based wireless-capable printers can be easily integrated into a network and are therefore usually the right choice for an office. Wi-Fi Direct. This possibility of mobile data transmission is now also widespread and found in many printers. Thanks to Wi-Fi Direct, the information can be directly exchanged between two WLAN-enabled devices, a router or a hot-spot are not necessary. Especially for direct printing from a smartphone, tablet or similar gadget, this connection option is ideal. Ethernet, Bluetooth. Not a few inkjet printers are equipped with these interfaces, among other things, in order to achieve more flexibility. SD card slot. In the meantime, an SD memory card slot is required by quite a few printers. Thanks to this feature, the images can be printed directly from a card. Some printers also allow you to print from a USB flash drive and other storage media. ePrint and other similar programs. Using HP’s ePrint program, print jobs can be delivered via e-mail, which is sent directly to the compatible printer. Thus, no connection between the computer and the output device (inkjet printer) must be established. Control via the app. Leading brands such as Brother, Epson or Canon offer smartphone apps for free download. This easy-to-use software makes it very easy to print jobs, and it also enables direct, mobile printing from a variety of cloud services, such as Dropbox, as well as popular social networks such as Facebook, Twitter, and Instagram. Even scanning can be realized even with printers without this function, ie with monofunctional inkjet printers, via App. Feed and output trays. Each inkjet printer has at least one paper feed slot and one output tray for printed paper. Some models come with extra paper trays for photo paper, and some high-end printers also have an extra tray for the scanner to make automatic multi-page scans possible. The trays are designed for the inkjet printers for the consumer sector only for the sheet size up to A4. Display. Only a few inches wide displays can be found on the control panel of most current models. The display makes the control intuitive. Some features like ePrint are only accessible via the display. A number of printer cartridges. Depending on the model, the inkjet printers can be equipped with two, four or even five color cartridges. The solution with two cartridges means that in addition to a black cartridge, a multi-colored combination cartridge for cyan, magenta, and yellow is needed. This actually practical concept has the disadvantage that if only one of the three colors of the Kombitintenpatrone is running low, the entire printer cartridge is replaced. The solution with four ink cartridges – Black, Yellow, Magenta, Cyan – is the most common variant and practical in every way. To save on black ink and also print high-contrast, high-quality images, some printers use a five-color model that uses two cartridges for black – text black and photo black. Automatic duplex printing. Currently, even mid-range home printers are equipped with an automatic duplex feature that allows two-sided printing. If this feature is not included, a sheet can still be printed on both sides: turn the sheet and return it to the paper input tray. In this case, we speak of a manual duplex printing, which is quite cumbersome. Automatic duplex printing helps save paper and reduces printing costs. Instant ink and other subscriptions for the supply of printer ink. Since the relatively high prices for original ink cartridges pose a problem for quite a few users and let consumers switch to compatible ink cartridges, some manufacturers are developing sophisticated systems to provide customers with original ink. Hewlett-Packard’s Instant-Ink is an example of such a subscription program, where the user gets the ink on average cheaper than on a one-time purchase and re-orders automatically. The monthly price depends on the monthly printed page number, whereby the low-priced printers can even come to the ink cartridges for free. The market carries a wide range of ink cartridges, with just about every manufacturer relying on a different, patented model. The marketing strategy of the leading brands is to offer the printers themselves at a very advantageous price and to make comparatively higher profits with the sale of the so-called original ink cartridges. No wonder, then, that not a few consumers dodge the so-called foreign ink, so ink cartridges from third-party, or compatible printer cartridges. For which task area is the printer primarily used? Are you mainly going to print documents (text and pictures) or do you also need the scan, copy, and fax functions? For home use or a small office is usually worth a multifunctional printer. For larger offices with multiple users, mostly monofunctional, high-performance printers are the better choice. For scanning, copying and faxing then specialized, professional devices are purchased. Do you print a lot and often? Then pay close attention to the printing speed, which is measured in pages per minute. 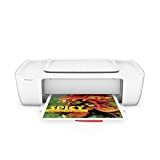 The mid-range printers for home create about 10 – 12 pages in one minute in black and white and 4 – 7 pages per minute in color. For occasional and occasional printers, this value is perfectly adequate. However, if your office uses a lot of the printer as part of a wide network, we recommend a much faster model that prints from 30 pages in b / w and color upwards per minute. Do you attach great importance to the print quality and want to print high-quality photos yourself at home or in the office? In this case, the resolution is a parameter that you must pay particular attention to. The print resolution, the dot density, is measured in “dots per inch” (dpi). The higher the resolution, the more detailed and realistic even zoomed images will appear. Already the usual resolution of 4,800 x 1,200 dpi promises a decent picture quality. Are you mainly interested in photo printing? If that is so, then the quality of the ink is crucial in addition to the image resolution. We would recommend opting for inkjet printers with five printer cartridges. In addition to the four conventional color cartridges, these models can also be equipped with photo black for optimum image quality. Would you like it easy with photo printing? Then an inkjet printer with an SD card slot and a Wi-Fi Direct function is just right for you. This allows the images to be printed directly from the memory card of your camera or from your smartphone. Are mobility and networks a household name for you? Then your printer should be wireless-enabled. Another way to increase flexibility is to print jobs via e-mail and app. Do you often encounter higher print volumes? If so, then an ink-based printer with a larger paper tray is the solution. The default capacity of a paper input tray is 100 sheets. Everything under it is meant only for Wenigdrucker. For multi-page printers, there are models with a capacity from 250 sheets upwards.